The best mobile arcade racing game series reaches a new turning point! Perform dynamic, high-speed aerial stunts in an intense driving experience powered by a brand-new physics engine! With over 150 official speed machines, 40+ high-speed tracks, 5 unique game modes & much more, be prepared to leave gravity in the dust! Race in 13 different settings such as Tokyo, the Nevada Desert & Dubai. Discover hidden shortcuts! Hit the ramps and take the race above. Perform barrel rolls and wild 360º jumps. 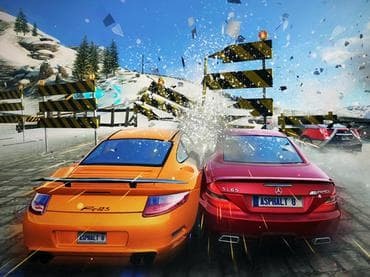 Если у Вас есть вопросы, связанные с игрой Asphalt 8 Airborne пожалуйста используйте эту форму для связи с нами.